​An axle is the central drive shaft for your vehicle’s rotating wheels, usually with bearings or bushings at the mounting points where the axle is supported. Your vehicle may have drive axles driven by the engine, dead axles - which are free-rotating - and/or lift axles, which often found in tow trucks. Working in conjunction with axles, drive shafts provide the wheels with rotation and torque. Like other components of your vehicle, they wear over time and need to be replaced to ensure your vehicle performs at its best. If your u-joints are loose or rattling, your joints or drive shaft will need replacing. If they appear cracked or are covered in grease, this is also a sign that you should bring your car to The Dyno Shop's axle repair experts. What is an Axle/CV Shaft Assembly? Axle shafts are commonly referred to as “CV axles” or “half-shafts.” One end of the axle shaft is connected to the transmission and the other end is connected to the wheel. The transmission rotates the axle shafts, which rotates the wheels. Without the axles, the tires will not rotate and the car will not move. There are four components of an axle shaft: the shaft, CV joints, grease and the CV boots (grease container). The most common reason for an axle to fail is because of torn CV boots. When the rubber fails and the boot tears, the grease leaks out, dirt enters and the CV joint eventually fails. What symptoms indicate my car might need a new Axle/CV Shaft Assembly? A loud clicking noise when making a turn. Grease on the inside surfaces of the tires. ​Visible tears in the CV boots. Verify that the axle shaft does needs to be replaced. Remove the wheel and replace the faulty axle. Each car has several axle shafts, but in most cases only one will need to be replaced. Even if the CV joints or boots are the only parts that have failed, it is often recommended that the entire axle be replaced. We recommend that every time your car gets a major service, the mechanic performs a basic safety inspection, including a visual inspection of the axles and boots. 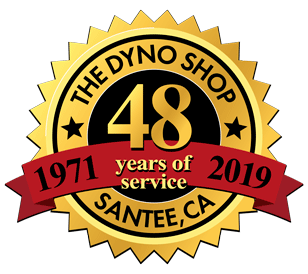 ​If you need a drive shaft and axle repair shop, look no further than The Dyno Shop. ​Located in Santee, California, we serve customers throughout San Diego County with their automotive repair needs, including all the components of the drive train. ​When you need an auto repair shop that can handle all makes and models, foreign and domestic, our expert technicians are trained to perform all necessary repairs or replacement services quickly, professionally and at a fair price. 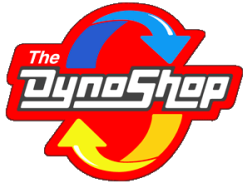 ​Southern California drivers can depend on The Dyno Shop to handle their car repair needs. From water pumps, heater cores, radiators, head gaskets and thermostats, The Dyno Shop does it all.